What is this tiny Apple touchscreen that just leaked in Taiwan? 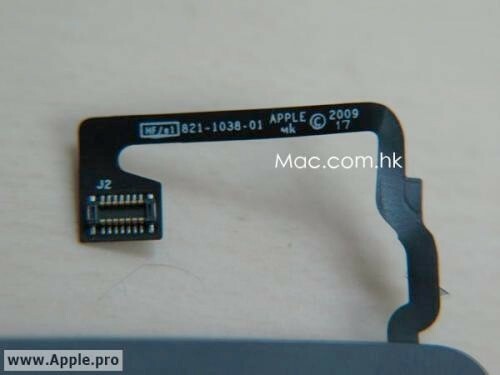 Okay, we have no idea what's going on here, but Taiwanese site Apple.pro has just posted up some shots of appears to be a tiny Apple-labeled touchscreen panel -- it measures just 3cm (1.18 inches) square. Given the site's track record with previous Apple component leaks like the white iPhone 4 and the unibody MacBook Pro enclosure, we're somewhat inclined to believe this is real, but we have no idea what it's for -- a new iPod nano? The next-gen Apple TV's remote control? Steve Jobs's dream watch? -- but we're definitely interested in finding out. One more pic showing the Apple label on the ribbon cable after the break.